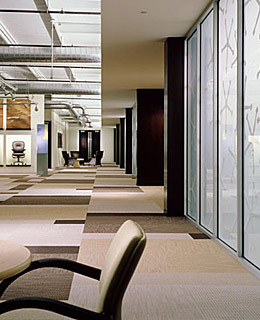 Is the carpeting in your business establishment looking worn and filthy? You don’t want your customers and clients getting a bad impression of your company because of your ugly carpets! For professional service, hire KIWI commercial carpet cleaners. Atlanta-area office buildings, retail stores, restaurants, movie theaters, conference centers and other public places benefit from Kiwi’s 30 years of carpet cleaning experience. Since 1987, KIWI has been keeping carpets clean for Atlanta homeowners. We offer the same expert cleaning service for our commercial customers. We’ll eliminate issues such as carpet compression, stains and high traffic wear and tear, giving your carpets a new life and saving your company from replacement costs. We provide deep cleaning with all-natural cleaning solution to get great results without environmental toxins. Our dry carpet cleaning techniques are especially convenient for businesses, because you can walk on the carpets in as little as 15 minutes after cleaning and get right back to work! This is a great alternative to steam cleaning that can leave carpets soggy for days. We guarantee that you’ll be delighted with your commercial carpet cleaning from KIWI. Schedule an appointment at your convenience with our professional technicians and stay fully operational during your cleaning. Let our professional carpet technicians address problem areas in your carpets, such as spills and stains, irregular wear and compression, odors and a dull appearance. We’ll make old carpets look new again, while staying within your maintenance budget. Call KIWI to learn more about our commercial carpet cleaning services. Whether it’s a hotel lobby, doctor’s waiting room, banquet hall, restaurant or nursing home, KIWI will restore carpets, furnishings, tile and air ducts for beauty, comfort and health. Call KIWI at 470-375-9722 to schedule a visit from the leading Atlanta commercial carpet cleaner. Join the KIWI family of happy customers!